It is difficult to lose your luggage if you have it with you but I came close a couple of times. Once I accidentally left my bag in an airline lounge during a stop-over and realized it as I arrived at the gate feeling a little light. Another time they made me leave my suitcase by the small plane so they could load it underneath with the promise of me getting it as soon as I deplaned….well they forgot to load it; however, I was watching out the window and let them know in time! 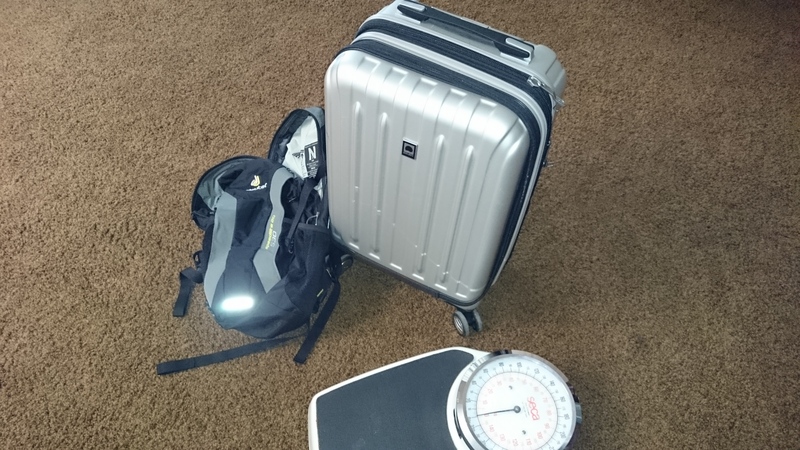 Many of the European budget airlines limit your carry-on by weight (keep in mind that would be in kilos)so that’s when you wear everything that’s heavy. I once flew an airline that weighed the passengers as well! I have now visited over 100 Countries and hope to add at least 5 every year. This entry was posted in travel and tagged budget airlines, carry-on, lost luggage, overhead bins, weight. Bookmark the permalink.